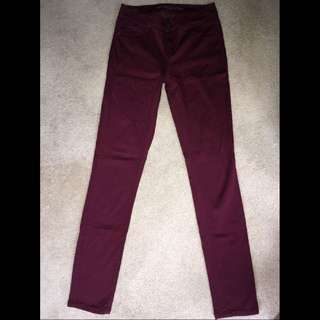 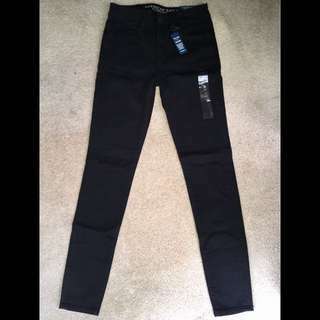 - Deep Blue Garage Jeggings - Low rise - Size 3/4 - Length: regular - Soft jegging material, very comfortable, good condition, colour still vibrant, a little fading on the thighs, no rips or stains. 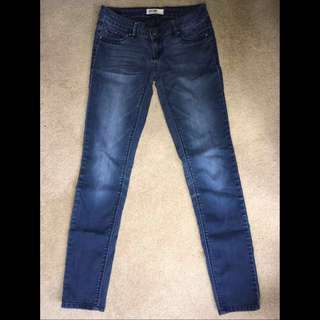 Love these jeans because they're soft and have a lot of stretch. 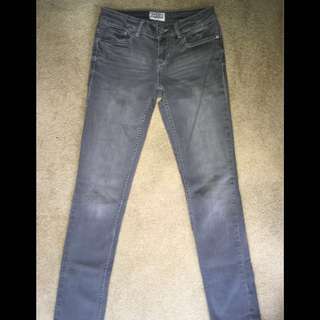 - Hollister Super Skinny Jeans - High rise - Size 5 (W: 27 inches) - Regular length - Only worn once or twice! 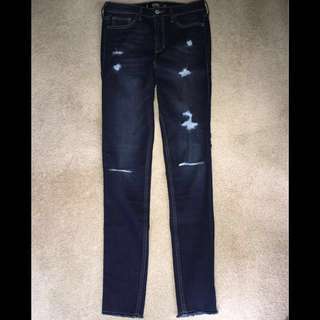 Great condition, no fading, looks brand new!